This Saturday April 27th, I will be presenting a one day macro seminar sponsored by the Seven Ponds Nature Photography Club. Held at the Seven Ponds Nature Center in Dryden, Michigan, time from 9am to 3pm. They will also have Midwest Camera there to clean camera sensors for $30. 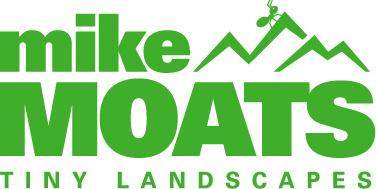 This is a special event, a Mike Moats Macro Boot Camp, with Mike Mathew's Frogs and Reptiles coming in on Sunday for three hours. It's a two day event with Mike Moats lecturing on Saturday, along with shooting subjects on table tops, and Sunday you will have three hours to shoot the frogs and reptiles, and more table top subjects. Equipment needed. DSLR, macro lens, tripod, for the table top subjects, and for the critter shoot, a ring flash or a flash system with two small flash units on either side of the lens works great. If you don't have one of these and don't want to buy one, contact us about a very affordable rental options, or Mike Mathews will also have several light diffusers for speed light flashes to loan out. Constant light sources such as LED lights do not work well for shooting critters. So, please contact us for equipment advise and suggestions. A tripod is not needed for photographing the frogs and reptiles, but will be required for the table top photography. Adventure photographers need a camera bag that’s as tough as they are. With its rugged materials and faceted design, the MindShift PhotoCross 15 backpack by Think Tank Photo will protect your gear from another punishing trip into the wild. Designed to fit an ungripped DSLR, three to five lenses, including a 70-200mm f/2.8 attached, and up to a 15” laptop, the PhotoCross 15 is constructed with durable, abrasion-proof materials, weatherproof zippers, and features an extra-large side panel that provides quick access to your gear when you’re ready to take the shot — without ever having to take the backpack off. The 2019 annual Macro Photo Conference is down to 20 openings left. so if you were planning on attending don't wait long to sign up. Registration is now open for the "Nature Photography Weekend" held at Grandfather Mountain in Linville, North Carolina. May 31st to June 2nd. The featured presenters for 2019, including Mike Moats, Tony Sweet, Lisa Langell, Vinny Colucci and J. Scott Graham, hail from throughout the country and will speak on a variety of photography topics encompassing both the technical and artistic elements of the craft and beyond.